This post was sponsored by RITZ as part of an Influencer Activation for Influence Central and all opinions expressed in my post are my own! Are you hosting a game day party? It’s that time of year where friends and family will gather around the television to watch their favorite team on game day. 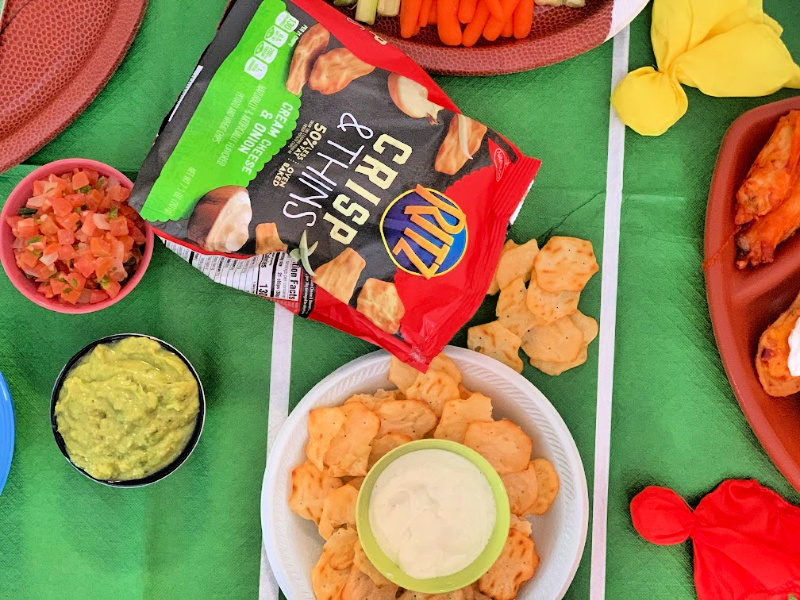 If you’re hosting a game day party then these 3 tips for the ultimate game day party will help you make this game day a memorable one. If you’re going to host a game day party then you’ll want to start the planning stage at least five days before the big day. When inviting friends and family to your ultimate game day party, consider asking about a week in advance so that you have an approximate attendance number in time to gather up your other plans for this game day party. Think about how many guests may arrive, what types of foods you can serve and whether you’ll serve beverages or have guests bring their own drinks. The best way to plan an ultimate game day party without going completely broke or using up too much time in food prep is to have this a potluck style event. Ask friends and family who’ll be in attendance to bring along their favorite dish. Be sure that guests tell you what they plan to bring so that you can plan around their meals with some added dishes and appetizers. You could even make a list of dishes you want at your game day party and ask which guest can bring each. 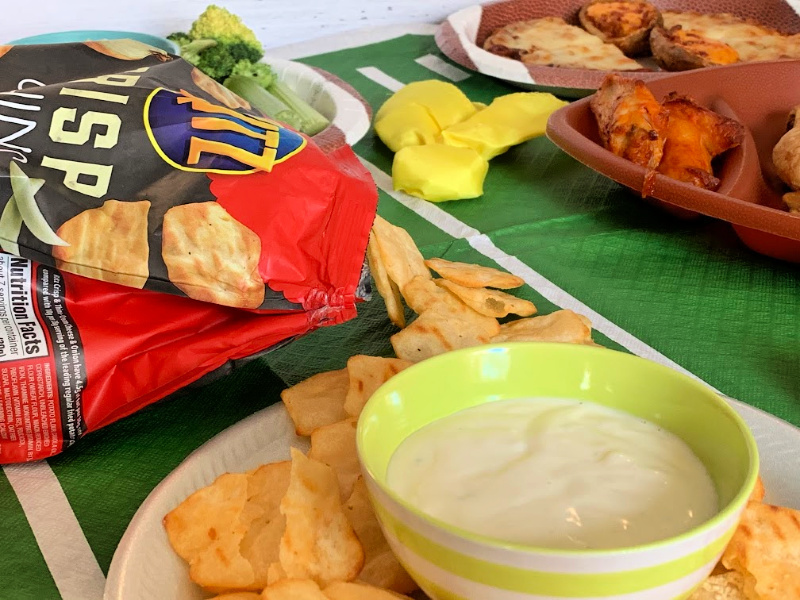 Let’s face it, family and friends will be hungry during the game day and they’ll need something to munch on in between the meals that will be served. RITZ Crisp & Thins make the perfect addition to any cracker and cheese or cracker and dip plate for the game day. 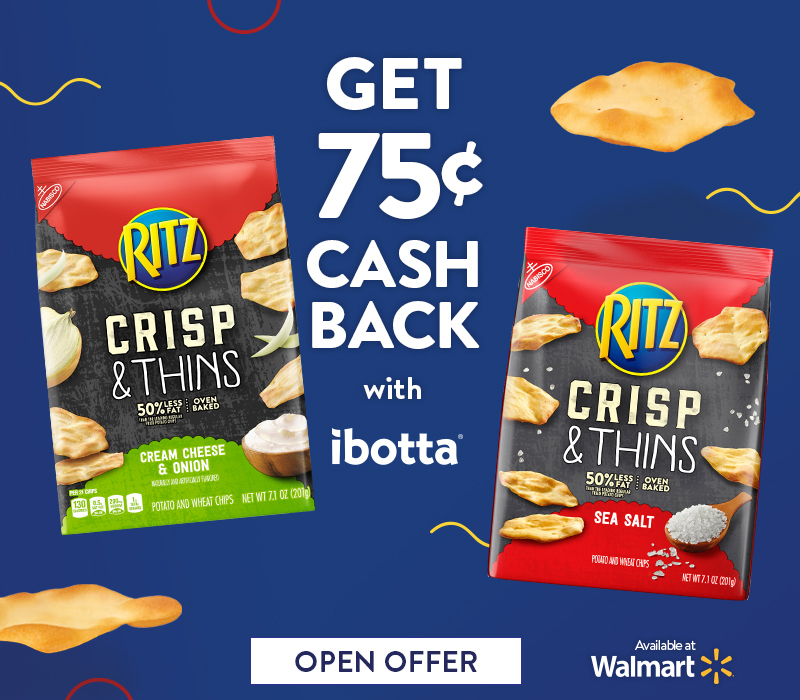 With over 5 varieties to choose from, as well as an Ibotta $.75 cash back reward when you purchase RITZ Crisp & Thins at Walmart, you can’t go wrong including these with your crackers and cheese appetizer plate. 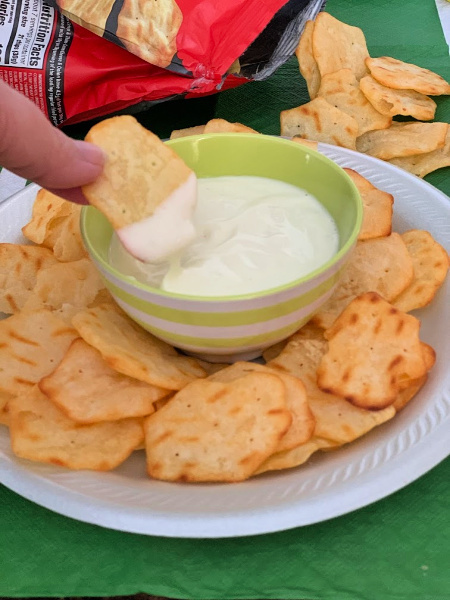 With the thing, delicious, baked to perfect taste that RITZ Crisp & Thins crackers offer you, it’s the perfect addition to any appetizer plate that includes cheese or dip on game day. 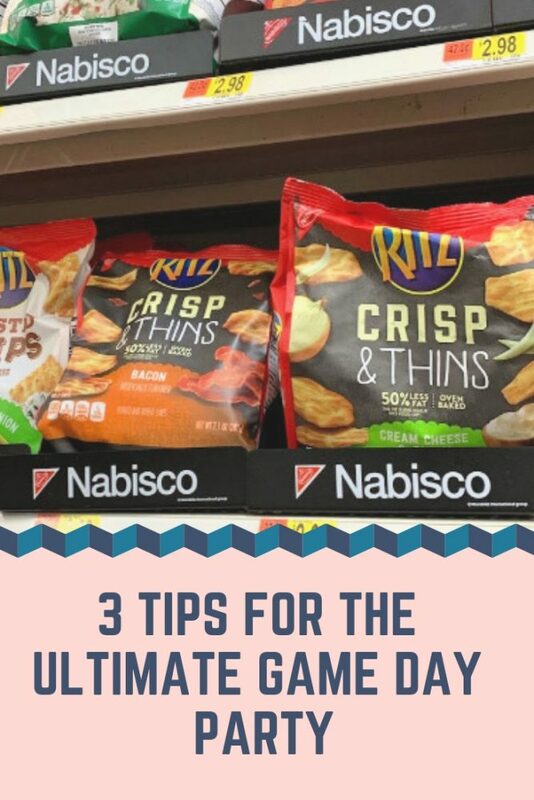 If you truly want to host the ultimate game day party do not forget these cashback earning RITZ Crisp & Thins crackers. Enter To Win Walmart gift cards by entering below! Good Luck. I-C will randomly select winners from all program entries and will facilitate fulfillment of the 7 winning prizes. These are great tips. We love to do potluck style get togethers. It’s a great way to get lots of food for the game without a lot of headache. We’ve always had family over, or go to another family member’s house for the Super Bowl, but, the same rules apply in your post. We always bring our own drinks and a dish to pass. Makes it easier on everyone! Game day parties are always so much fun! Those RITZ Crisp & Thins would make a wonderful addition to any snack spread, but it would be hard to choose which flavor to try first. Great tips! I love these chips, so I will have to try this dip. I can’t wait for Sunday! Those sound great! I bet those would go great with cheese and lunch meat! Are these gluten free? Now that is some nice savings! I have to try these crackers for our BIG Game festivities. I’m ready to celebrate! Love these – they’re so light and crisp for dips. Wow! I love those ideas you listed! It looks easy to prepare and I love doing easy cooks! Thanks for sharing these with us! that is a good idea, i think i should try this recipe soon! im sure my mom will love it. Love this! I am just about to go grocery shopping and we having a little family super bowl party tomorrow! Excellent tips. Of course, I waited until today to start planning, lol. I am definitely going to pick up those Ritz, yum! Great tips for planning a party for the big game tomorrow. Potluck style is a great suggestion. Makes it so much easier on everyone. I love Ritz crackers, and I haven’t tried these thin ones yet. They look perfect for snacks and appetizers! These are some wonderful tips! Pot luck is such a great idea as it not only saves the time of the host but involves everyone’s participation those who are coming to the event! I love the ultimate tips for the game day night. We try to host a potluck to try out different types of dishes! I wish I would Have saw this before the super bowl I could have used this article! a try. Keep it up.